Product prices and availability are accurate as of 2019-04-26 00:48:34 UTC and are subject to change. Any price and availability information displayed on http://www.amazon.com/ at the time of purchase will apply to the purchase of this product. Competitive Edge Products, Inc is delighted to offer the brilliant Tanita HD-366. The Tanita HD-366 has a sleek, modern design with 8mm thick, black glass that is certain to fit in with any decor. 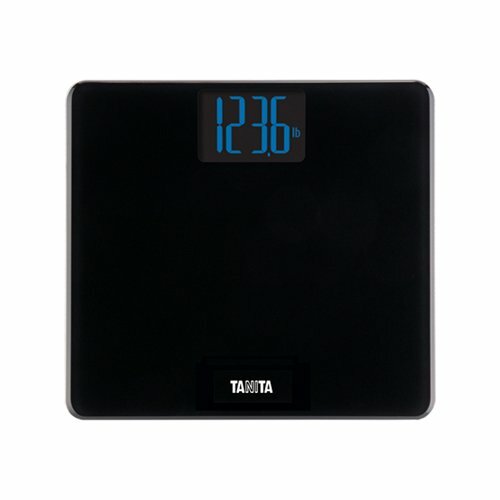 With a large, thin, low profile platform, this scale is very easy to use. Providing an accurate reading up to 440 pounds and a reverse blue back lit LCD, you won't have a problem reading the screen. Tanita has provided some excellent touches and great value for the money. The HD-366 has a very low-profile, large platform with a weight capability of 440 pounds, making it a wonderful fit for a more comprehensive audience. The modern design of 8mm of thick black tempered glass and reverse blue backlit LCD looks great and will definitely excite.